211000 F1AE Iveco F1AE series diesel engine. 211001 F1AE0481L*A001 Iveco F1AE0481L*A001 Industrial Diesel Engine Spare Parts Catalog. 211002 F1AE0481M Iveco F1AE0481M Industrial Service (workshop / repair) Manual. Service (workshop / repair) Manual. 211003 F1AE0481A Iveco F1AE0481A Automotive Diesel Engine Service (workshop / repair) Manual. 211004 F1AE0481A*A002 - C Iveco F1AE0481A*A002 - C Automotive Diesel Engine Spare Parts Catalog. 211005 F1AE0481A*A002 - D Iveco F1AE0481A*A002 - D Automotive Diesel Engine Spare Parts Catalog. 211006 F1AE0481B Iveco F1AE0481B Automotive Diesel Engine Service (workshop / repair) Manual. 211007 F1AE0481B*A002 - C Iveco F1AE0481B*A002 - C Automotive Diesel Engine Spare Parts Catalog. 211008 F1AE0481B*A002 - D Iveco F1AE0481B*A002 - D Automotive Diesel Engine Spare Parts Catalog. 211009 F1AE0481G*A001 Iveco IVECO F1AE0481G*A001 Automotive Diesel Engine Spare Parts Catalog. 211010 F1AE0481G*A003 Iveco IVECO F1AE0481G*A003 Automotive Diesel Engine Spare Parts Catalog. 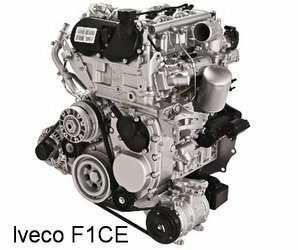 211020 F1CE Iveco F1CE series diesel engine. 211021 F1CE0481A Iveco F1CE0481A Automotive Diesel Engine Service (workshop / repair) Manual. 211022 F1CE0481B Iveco F1CE0481B Automotive Diesel Engine Service (workshop / repair) Manual. 211023 F1CE0481B*A001 Iveco F1CE0481B*A001 Automotive Diesel Engine Spare Parts Catalog. 211024 F1CE0481F*A001 Iveco F1CE0481F*A001 Automotive Diesel Engine Spare Parts Catalog. 211025 F1CE0481F*C001 Iveco IVECO F1CE0481F*C001 Automotive Diesel Engine Spare Parts Catalog. 211026 F1CE0481F*C501 Iveco IVECO F1CE0481F*C501 Automotive Diesel Engine Spare Parts Catalog. 211027 F1CE0481F*C503 Iveco IVECO F1CE0481F*C503 Automotive Diesel Engine Spare Parts Catalog. 211028 F1CE0481H*C003 Iveco IVECO F1CE0481H*C003 Automotive Diesel Engine Spare Parts Catalog. 211029 F1CE0486A Iveco IVECO F1CE0486A Automotive Diesel Engine Service (workshop / repair) Manual. 211030 F1CE0487K*C502 Iveco IVECO F1CE0487K*C502 Automotive Diesel Engine Spare Parts Catalog. 211031 F1CE0441A*A003 Iveco IVECO F1CE0441A*A003 Automotive Gas Diesel Engine Spare Parts Catalog. 211040 F2BE Iveco F2BE series diesel engine. 211041 F2BE0686A Iveco F2BE0686A Industrial Diesel Engine Service (workshop / repair) Manual. 211042 F2BE0686B Iveco F2BE0686B Industrial Diesel Engine Service (workshop / repair) Manual. 211043 F2BE0686C Iveco F2BE0686C Industrial Diesel Engine Service (workshop / repair) Manual. 211044 F2BE0686D Iveco F2BE0686D Industrial Diesel Engine Service (workshop / repair) Manual. 211045 F2BE0687A Iveco F2BE0687A Industrial Diesel Engine Service (workshop / repair) Manual. 211046 F2BE0687A*B301 Iveco F2BE0687A*B301 Industrial Diesel Engine Spare Parts Catalog. 211047 F2BE0687B*B301 Iveco F2BE0687B*B301 Industrial Diesel Engine Spare Parts Catalog. 211048 F2BE0687C*B301 Iveco F2BE0687C*B301 Industrial Diesel Engine Spare Parts Catalog. 211049 F2BE0685A*B301 Iveco F2BE0685A*B301 Genset Engine Spare Parts Catalog. 211050 F2BE0685A*B302 Iveco F2BE0685A*B302 Genset Engine Spare Parts Catalog. 211051 F2BE0684A Iveco F2BE0684A Diesel Engine for Agricultural applicatin Service (workshop / repair) Manual. 211052 F2BE0684B*B131 Iveco F2BE0684B*B131 Diesel Engine for Agricultural applicatin Spare Parts Catalog. 211080 F2CE Iveco F2CE series diesel engine. 211081 F2CE9687A Iveco F2CE9687A Industrial Diesel Engine Service (workshop / repair) Manual. 211082 F2CE9687A*E001 Iveco F2CE9687A*E001 Industrial Diesel Engine Spare Parts Catalog. 211083 F2CE9687B Iveco F2CE9687B Industrial Diesel Engine Service (workshop / repair) Manual. 211084 F2CE9687B*E001 Iveco F2CE9687B*E001 Industrial Diesel Engine Spare Parts Catalog. 211085 IVECO F2CE9687C*E001 Iveco IVECO F2CE9687C*E001 Industrial Diesel Engine Spare Parts Catalog. 211086 IVECO F2CE9685A*E001 Iveco IVECO F2CE9685A*E001 Genset Engine Spare Parts Catalog.